The brainchild of Robert Alonso, Alonso Consulting, Inc. is a technical services firm that designs and develops applications for PCs and the web. It also provides consulting services, technical support, networking, hosting, and a variety of other related and ancillary services. Robert Alonso founded Alonso Consulting’s predecessor on June 11, 1987. The company’s first office consisted of a fold out table in a one-bedroom apartment in Nutley, NJ. Even starting from those humble beginnings, the firm had huge success. The first client was Exxon in Florham Park, NJ., GE Capital and later Dun & Bradstreet and Medco followed this initial client. The income from these one person consulting engagements provided Alonso Consulting with a solid financial foundation and a breadth of experience that has propelled a lasting success. In early 1995, the company opened an office in Fairfield, NJ, hired its first full-time employee, and began expanding into off site development. Skinder-Strauss Associates; whose publisher had been a client while working as an executive at Dun & Bradstreet, became the first off site development client. The project that the firm was hired to design and develop was a software version of the Lawyers Diary & Manual that up to this point had only been published on paper. The Lawyers Diary & Manual became the firm’s first off site development project and a huge success. Alonso Consulting developed an application that was graphically intuitive, attractive and highly functional. In addition to developing the application, the firm also provided technical support. During 1995, the firm expanded to multiple client relationships and to four employees. One of those clients was Kline & Company, then in Fairfield and now in Little Falls, NJ. Another was Maypak, Inc. in Wayne, NJ. We are very proud of the fact that Skinder-Strauss Associates, Kline & Company and Maypak, Inc . are still clients in 2006—eleven years later. Kline began as a small development project and has expanded over the years to include several development projects on the desktop and web. We currently host an application that we developed for the company. We also helped upgrade their entire data center and provide technical support under contract. In 1995, we installed wiring and several state of the art PCs for Maypak. 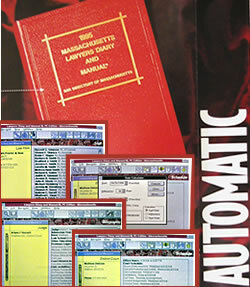 In 2005, we installed new machines, a server, additional wiring and began hosting Maypak’s web site. Year after year, the firm has expanded relationships, added important clients and made progress towards fulfilling its mission of expanding geographically. In 1996, the firm acquired AT&T and The BOC Group as clients. In 1998, Prudential used us for Intranet and report development work. The Skinder-Strauss relationship led us to acquiring New Jersey Lawyers Service as client as well as American Clerical in New York and indirectly to getting The Riverside Company as a client. The Riverside Company is the largest private equity firm investing in premier companies at the smaller end of the middle market. It hired Alonso Consulting personnel in 1999 and 2003 to evaluate the IT department’s of Conferon in Twinsburg, OH, Jackson Marketing Group in Atlanta, GA and ExpoExchange in Frederick, MD and ITS in Illinois. Robert Alonso personally evaluated the technology and personnel at Conferon and Jackson Marketing Group. A team of three Alonso Consulting employees and a former employee evaluated ExpoExchange and ITS. We produced a document that was used for due diligence in the acquisition and merger of these firms into what is now known as Conferon Global Services, Inc.
Alonso Consulting began exploring ways to expand through Internet use and services related to the Internet beginning in 1995. It was because of this early start that the company was able to acquire the six-letter domain www.alonso.com. We began hosting our own web site on a slow speed digital line and quickly expanded to a high speed connection through which we host web sites and e-mail for close to 50 clients with more than 700 e-mail accounts. An additional cable modem based connection has enabled us to expand into disaster recovery services by providing our client with a way to back up their changed data over the Internet to a server in our data center. Our data center is now used for providing a range of Internet related services that are reliable and well supported by Alonso Consulting. Our mission is to create products that deliver benefits to our clients that are meaningful and quantifiable. We will couple these products with the highest quality service and support so that our clients can concentrate on their priorities and not have to consider the technology. These products and services will be delivered with the care and dedication that would be expected from a friend. This remains our mission. We are able to deliver on this mission because we have been very successful at retaining qualified and dedicated employees. Our top three employees have been with the company for a combined total in excess of 20 years (this does not include the founder). Alonso Consulting continues to expand by retaining important clients and by establishing offices in other locations. In 2005, the firm began operating in Las Vegas, NV by using office space occupied by a related company, Advantage Fund Raising, Inc. It is our hope that this will become a major growth spot for us and that we can establish an independent office with separate staff and management in 2006. We have also provided telephone support for United States based clients with offices in Canada, England, Belgium, Japan, and Brazil. We also provide e-mail hosting services for the Chinese branch of a United States based client and for a Costa Rican based resort. The future looks excellent for Alonso Consulting, Inc. We have highly experienced people, loyal customers and a firm understanding of what it takes to keep a business moving in the right direction: customer service.